The rooms were very spacious with wonderful ocean views! Housekeeping did an amazing job every day, leaving out no details! We didn’t want for anything the entire trip. Everyone was very friendly. Would definitely stay here again! Easy to walk over to Ala Moana Mall to shop and to the Convention Center for functions. great location. short walk to a great beach. hotel staff is great. Hotel is a good value. Not a great view from our room. Parking area is very dirty. I walked on the same dirt Elvis did. Nothing special about this property, it was ok. The lobby was ALWAYS COLD, the restaurant was only open for breakfast buffet - and very expensive. Close to Ala Moana park/beach/shopping center. Room was very small but adequate. Nice hotel, good location. Close to the airport, beach, and mall. For Holiday Honolulu hotel pricing, I suppose we knew what we were getting ourselves into. When we first visited the Ala Moana maybe 4-5 years ago, it was a pretty worn out facility. We were very much hoping that the hotel would turn the corner under new management. Thus far - from general room cleanliness, furnishings and facility to housekeeping - it seems like there’s been not much more than a lobby facelift and a cool Starbucks that offers wine and beer (is it a first for a Starbucks?!? So cool...) That said, proximity to public transportation, the ala Moana shopping center and the Convention Center makes this hotel tolerable despite a lot of shortcomings. I’m confident that this place will turn the corner - hopefully sooner rather than later. Awesome, loved everything about it especially being right there next to the shopping center. Love the walking distance to shopping and the beach. Great hotel, Staff was friendly and accommodating to the max! Nice hotel, comfortable bed, showerhead is strong. Overall, clean. Would stay again if price is right. Nice hotel, close to the beach, excellent trip advisors. Really good breakfast. Nice customer service. Staff is friendly, walking distance to mall, restaurants, and magic island. Ala Moana Beach Park is within a 5-minute walk of Ala Moana Hotel while other popular sites like Hawaii Convention Center are within a 15-minute stroll. This 1100-room, 3.5-star hotel welcomes guests with conveniences like an outdoor pool, free in-room WiFi, and a fitness center. It's connected to a shopping center in central Honolulu, and also a short walk from Ala Moana Center and Magic Island. Enjoy dining at one of 2 onsite restaurants including Signature Prime Steak, which specializes in American cuisine. Entertain your taste buds with a beverage at the bar/lounge or coffee shop/café. Start each morning with buffet breakfast, available for a fee from 6:30 AM to 10 AM. An LCD TV comes with cable channels and pay movies, and guests can stay connected with free WiFi and wired Internet. Beds sport premium bedding and the bathroom offers a hair dryer and free toiletries. Other standard amenities include a refrigerator, a microwave, and a coffee maker. 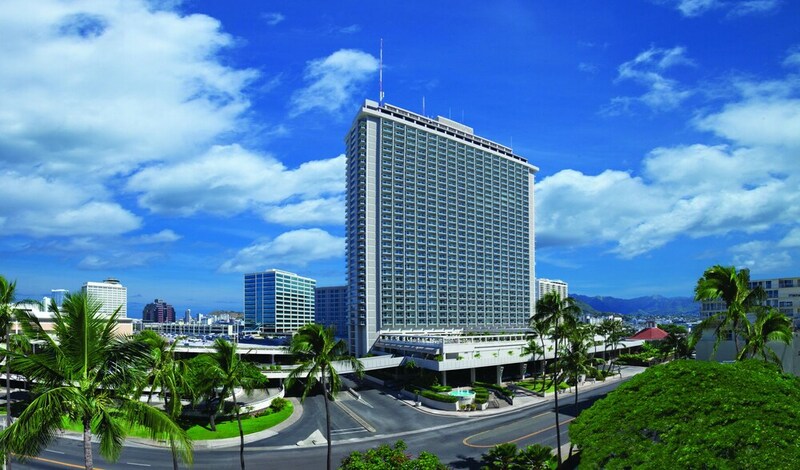 Guests staying at Ala Moana Hotel enjoy an outdoor pool, a fitness center, and a sauna. Parking is available for USD 25 per day (USD 30 per day for valet parking), and there's also limo/town car service. The 24-hour front desk has multilingual staff ready to assist with luggage storage, tours or tickets, and dry cleaning/laundry. Additional amenities include free WiFi in public areas, conference space, and a 24-hour business center. Mahalo and we hope to see you again! Mahalo and thank you for staying with us! Aloha Diane and thank you for your feedback. Due to the dozens of nearby restaurants open for lunch and dinner, we have opted to utilize the cafe for breakfast only. The lobby temperature is set lower to compensate for the heavy foot traffic coming in and out of the hotel, which typically allows for warm air to make its way inside. Mahalo for staying with us! Mahalo for sharing your experience D.
Buffet breakfast is served daily from 6:30 AM to 10 AM for a fee. Signature Prime Steak - Ocean-view restaurant and bar specializing in American cuisine and serving dinner. Starbucks - Restaurant. Open daily. Plantation Cafe - Buffet restaurant. Recreation features at Ala Moana Hotel include an outdoor pool, a sauna, and a fitness center.